UPDATED 27 Jan 2011: Egyptian authorities are threatening to block social media during the planned Million March on Friday. If you are in Egypt and are block, I ask that you email your tweets, pictures and videos to <hala.abdoun@gmail.com> or to other Egyptians outside of Egypt so that information is sent out in real time! I can also be reached via BBM (if it’s not blocked) using pin 22FAF461. UPDATED 26 Jan 2011: I’ve set up a Showcase of Digital Solidarity with THE REVOLUTION event on Facebook to showcase our support to the massive marches that will be taking place this Friday (January 28th). I’ve also set up a Twitter List to follow on those tweeting the latest with the Arab Revolution. If you are on Facebook or Twitter, both links public where you can be added, share it, repost it and retweet it!! If you are on the grounds in Egypt, Tunisia, Palestine, Lebanon or elsewhere where a march is being organized, please msg me here or on Twitter. 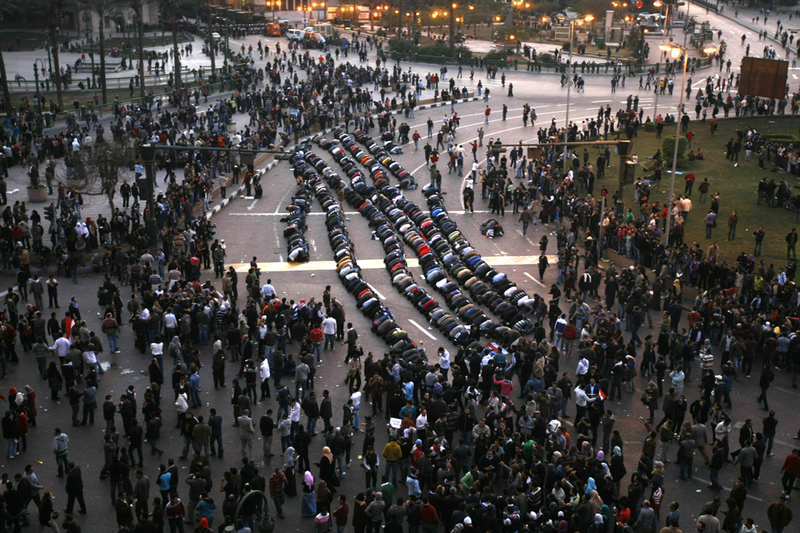 In Egypt today, January 25th, (and ironically a national Police Day holiday) became the people’s Day of Rage. Egyptians took to the streets their rage and frustrations with President Hosni Mubarak’s 30 year reign, his regime’s curroption and the governments lack of any relation to the people. This was of course an encouraged inspiration after the successful uprising that took place in Tunisia on January 14th bringing down the 23 year reign of Zeen ElAbideen Ben Ali. Below are some links, videos and pictures of Egypt’s Day of Rage and will continuously be updated here and via Twitter. They may have blocked it from the media, the internet and cell phones, but they can’t block the people’s voices!! HAVE A VOICE!! With pride and solidarity for my people of Egypt… it’s about time!! LA LE MOUBARK LA LE GAMAL MASR HORRAH MN ZAMAN…. I’m sorry it’s late but thank you for sharing!